Walk side by side with the King of the Jungle. You are invited to take a walk on the wild side and interact with the rowdy adolescents as well as learn about the conservation issues on the walk with lions safari. 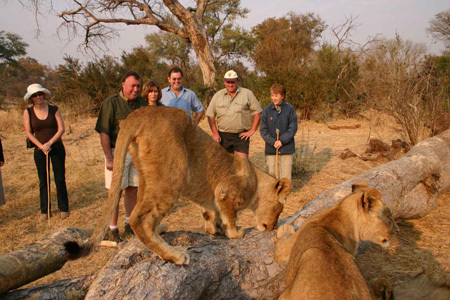 Come walk with the Pride....no leashes, no collars, and the pride roam freely with you through the African bush in this walk with lions activity. 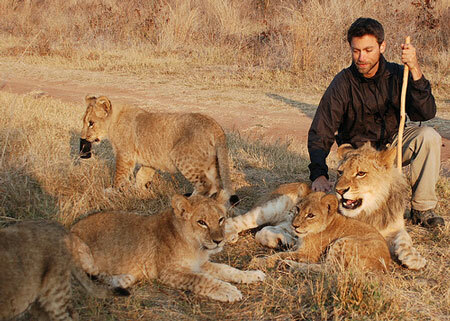 All clients will be given equipment for their Walk with lions (stick). 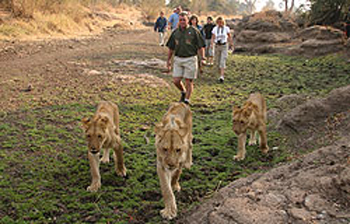 On a walk with lions safari there are three lion handlers plus a Trip leader. 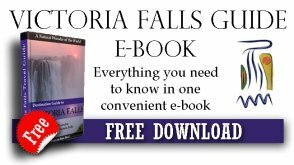 All Trip Leaders carry a .458 rifle, and a communication radio plus a first aid kit. 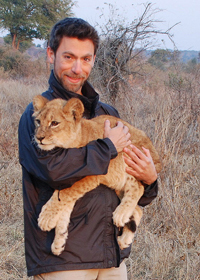 Experienced, armed guides will accompany every walk with lions and carry with them a first aid kit and communication radio. 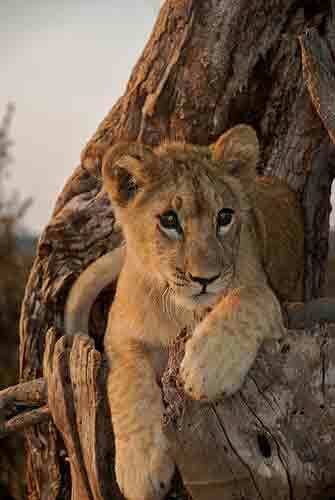 A safety talk introductions to the "pride" and how to behave around the King of the Jungle. Passports, jewellery and valuables should be left in hotel safes.